Here are several bits and pieces of slot car history which readers have sent to me. Thank-you Bruce, Greg, Mike, and others! In the 60s, New Zealand had a very active slot car scene. I was born in 1952, so I was just the right age to get hooked on a hobby which I still pursue, although I live in Australia now. My most precious possesions relating to those days are some photos, notes and bits and pieces that I have kept from when I met a very young Bob Emott, who was in my home town on his way to the Antarctic with the US Navy. 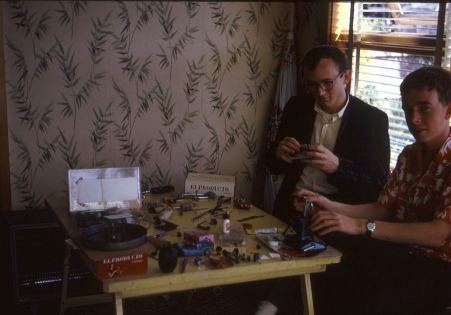 I had the pleasure of meeting Bob; he came to my parents house a couple times and, as you can imagine, the subject of slot car racing was never far away. I still have (by chance) his thoughts on what was the best combination of parts, which he wrote down for me at the time. Who is this young racer? 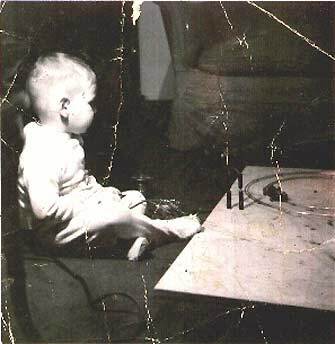 Yes, he's piloting one of the first rail racers in America, in December, 1957 - who could this little tot be? A clue: he's a motorcycle enthusiast today, and his father was a famous slot car pioneer, slot car drag racer, race car driver, author, and a motorcycle enthusiast, too. See page two for more about the identity of this little tyke! Greg Holland runs the Vintage Slot Racing Newsletter, which has a website here: VSRN. 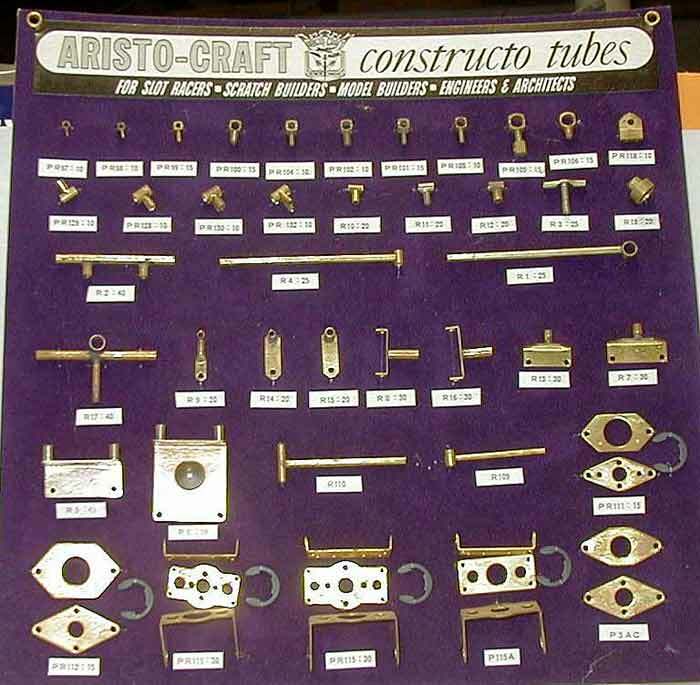 Last year, Greg sent me corrections, images for future quizzes, and this picture of a vintage Aristo-Craft Dealer Display Board, to shake the memories of the old-time scratchbuilders. Thanks, Greg!